SNEAK ATTACK - “Oh, Hancks, that will NEVER happen in America.” Is a repeat of history’s most terrible times replicable in the United States? Are potential parallel horrors visible to the open eye? You decide after reading this acid satire. 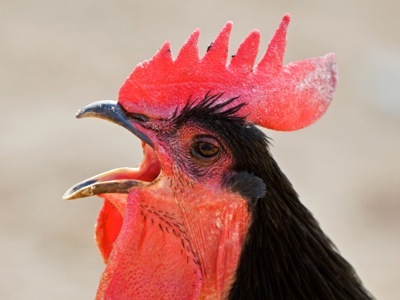 The Little Red Rooster Who Did - A short story adapted by George Hancks. When a little red rooster makes an important discover and then enlists others to help him turn it into a great opportunity for all, he is in for a big surprise. The Teleprompterator VS. The Hermanator - Held over by popular demand even though Herman is out of the race. Still fun to fantasize about. 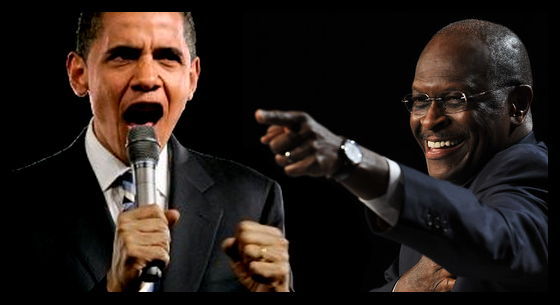 Of these two men, who is the better orator? I have my opinion. Read this blog and you decide. 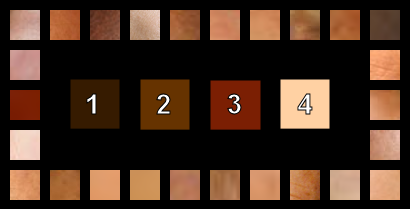 Black and White People Do Not Exist - treatise that all humans beings are one or another shade of brown, that it is impossible for a human to be black or white. What do you think? After you read it, tweet me. COME BACK FOR MORE. NEW BLOGS AS I AM INSPIRED, FAIRLY FREQUENTLY. Walt Disney, Hollywood’s Dark Prince by Marc Eliot 1993, Carol Publishing Group ISBN 1-55972-174-X. The author reveals the real Walt Disney the company doesn't want you to know. His phobic behavior is examined and his 25 year association with J. Edgar Hoover’s FBI as a Special Agent in charge of rooting out Communists, subversives, and Jews. Reading this book shouldn't destroy your love for Mickey and all things Disney created. It is one author’s documented look at a regular human being. Goodbye Darkness, A Memoir of the Pacific War by William Manchester, 1979, Little, Brown and Company ISBN 0-316-54501-5. Be ye a war hawk, dove, pacifist, or protester, the authors first hand experience shatters the myth that if we live up to our noble ideals, if we are fair and kind and good, our enemies will act with reason. This pacifist author reveals how in the first battle he had no choice but to become an animal. A compelling book from beginning to end. You won't be able to put it down. Thank you for clicking my book links to purchase a book. It helps me afford to publish this content. Oh No! Does this make me a Capitalistic Pig?